His first day in space was way beyond all his expectations. No, he hadn’t seen the new Star Wars film yet but all of them up there were looking forward to seeing it. He was looking forward to training – on a treadmill, harnessed to the spot – for the London Marathon. 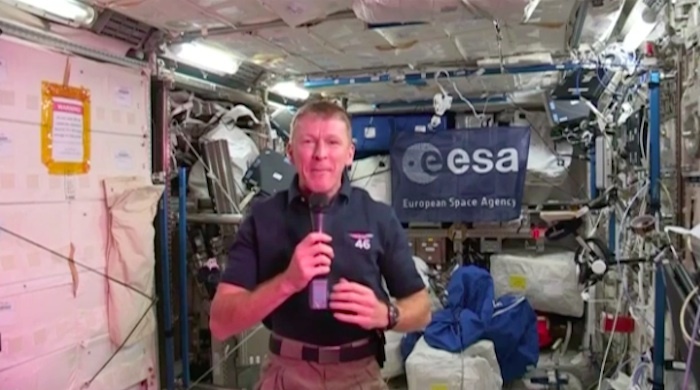 Major Tim Peake, Britain’s first European Space Agency astronaut, was ready with a set of non-controversial answers to a procession of non-challenging questions during his first ever press conference from orbit. Seemingly upright in the Columbus science module of the International Space Station - until asked to do a back flip while crossing the surface of the globe at 27,000 kilometers an hour - Peake faced the challenge of the media. There was always a pause between question and the launch of an answer and at the close of each answer, he carefully let go of his microphone – it bobbed more or less exactly where he released it – and clasped it again for each answer. He looked forward a lot. He used telltale delaying phrases like “That’s a great question …” and telltale pause-words such as “absolutely” while he prepared his responses, but the smile barely faltered. “It’s way better than I imagined. It is really hard to describe,” he said, and then listed those things way beyond his expectations, including the view from the space station cupola. “The first 24 hours is pretty rough,” he admitted. Yes, he found some aspects of life in space a little difficult: the vestibular system that controlled his balance and his visual system hadn’t quite caught up with each other, so every time he went round a corner or moved his head he felt disoriented and dizzy. Yes, he had a good night’s sleep; on his second morning he woke up fresh and had had no problems since. He hadn’t needed to tether his sleeping bag and enjoyed floating gently around the dormitory. And yes, he had experienced one retinal flash as a cosmic ray passed through his eyes, but otherwise, no problems. He had launched into a very busy programme and was delighted and thrilled at the phenomenal support for him everywhere in his role as a European astronaut. He may or may not have felt relieved when the ground station and the television signal parted company and the press conference closed and he was allowed to get on and learn more about his new home and workplace. Nobody asked him that one. In answer to some other questions not asked: Major Peake’s first mouthful in his new home was a hot bacon sandwich, from the hands of his resident station commander Scott Kelly; and his first task in space was to unpack cargo from a Cygnus-4 spacecraft that had arrived one week ahead of him. Major Peake, born in Chichester, Sussex, and married with two sons, got ahead of 8,000 other applicants to be selected for training within the European Space Agency’s astronaut corps. He left planet Earth by Soyuz rocket on Tuesday, and – after a nerve-wracking nine-minute delay as the automatic system aborted and the capsule’s Russian commander took manual control – he began his new career in orbit at 5.33pm GMT that evening. He went aloft with another Tim from the US space agency Nasa’s astronaut corps, Tim Kopra, and with the Russian veteran cosmonaut Yuri Malenchenko at the controls of the Soyuz capsule. The trio of new recruits were welcomed aboard by Nasa’s Scott Kelly and two Russian crew members, Sergey Volkov and Mikhail Korniyenko. Both his travelling companions aboard Soyuz had been in orbit before, but this is Peake’s first chance to circle the globe in 90 minutes, every 90 minutes. His first scientific experimental work is to involve a study of the effects of radiation on bone marrow and his first formal questionnaire will be one about headaches (which, like nausea, are familiar afflictions in microgravity). His work timetable even includes a day’s housekeeping: Saturday is the day that astronauts vacuum and wipe down the space station’s surfaces. Tim says, "I'm taking with me 75 of possibly the coolest patches ever flown in space, and one of them could be yours." A few times each week, Tim will tweet lines from the lyrics of his favourite songs. The first person to reply to each tweet with the correct song title and artist goes down in history as the proud owner of an exclusive ESA #spacerocks patch that has flown in space. Simple as that, but do not forget to include the hashtag #spacerocks in your reply. One of 75 #spacerocks patches that ESA astronaut Tim Peake will take to the International Space Station on his Principia mission from December 2015 to May 2016. On his five-month flight, Tim will be taking a selection of his favourite music for off-duty relaxation, but he’ll be doing something a little different with it. Listening to music while exercising, reading or just looking down at Earth from Cupola, Tim will tweet lyrics from songs on his personal playlist. 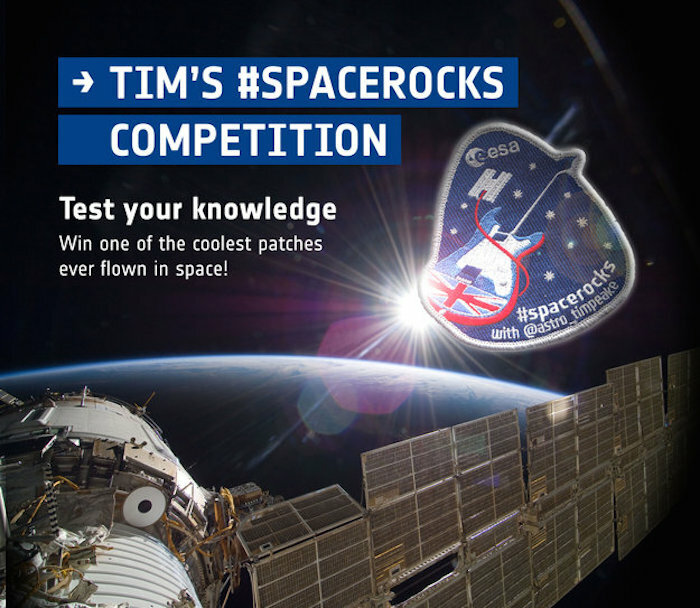 If you can identify the song and artist, you can win a prize: a limited edition ‘flown in space’ patch, specially created for this competition.The exclusive #spacerocks patch was specially produced for ESA by Lucreation, Netherlands. It shows an electric guitar, bearing a Union flag, with its lead originating from the International Space Station. The ten stars are grouped in a four and a six, representing Tim's membership of Expedtion 46. 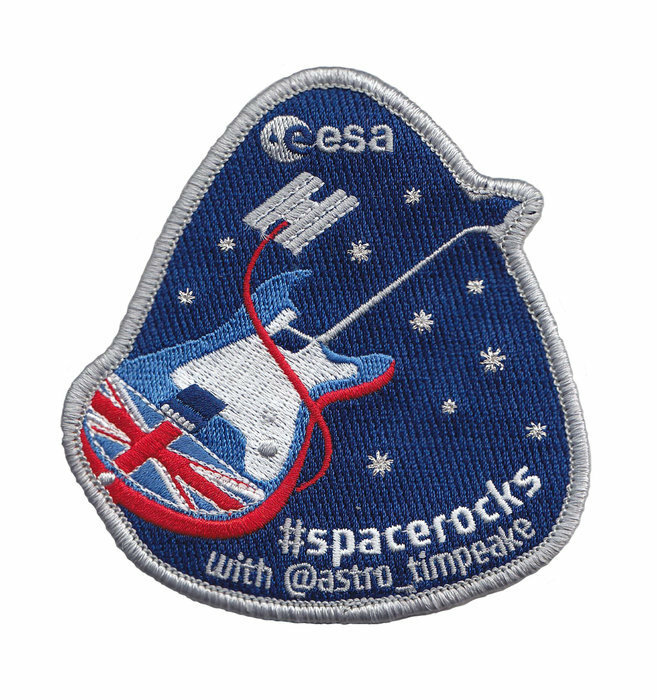 It bears the ESA logo and the hashtag #spacerocks with Tim's Twitter name. 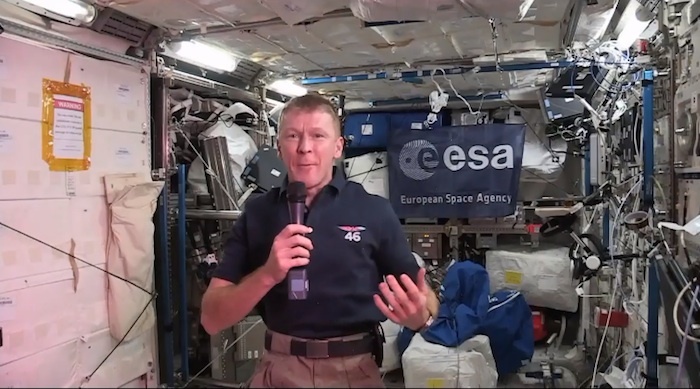 UK astronaut Tim Peake is to be involved in assisting two astronauts carry out a space walk outside the International Space Station (ISS) next week. Fellow crew members Tim Kopra and Scott Kelly will go outside the ISS to fix a broken component, possibly as early as Monday, Nasa said. "It will be a very busy and interesting day for Tim," said Libby Jackson from the UK Space Agency. Mr Peak arrived at the ISS on Tuesday. He is the first UK astronaut to be employed as a professional astronaut by the European Space Agency. The space walk is taking place so the astronauts can try to fix a component called the "mobile transporter" - a rail that runs along much of the length of the space station, which a robotic arm can move along. 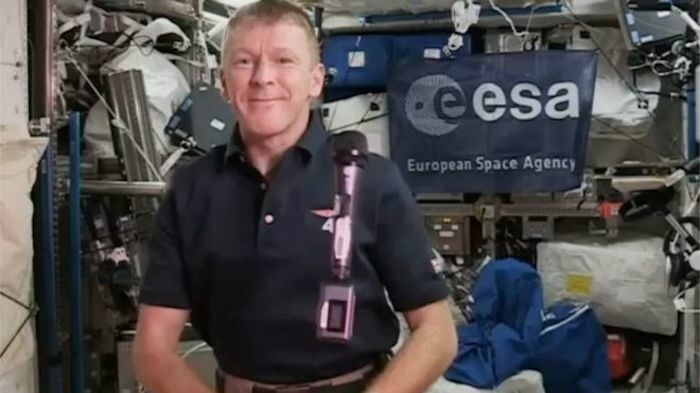 Mr Peake, who is spending six months in space, will be following the space walk from the inside, the BBC's science correspondent Pallab Ghosh said. His duties will involve getting the crew suited and out of the airlock while talking to mission control, he added. The mobile transporter became stuck on Wednesday. "The cause of the stall is being evaluated, but experts believe it may be related to a stuck brake handle," said the mission's operations manager, Kenny Todd. The space walk will be the third in Mr Kelly's career and the second for Mr Kopra. 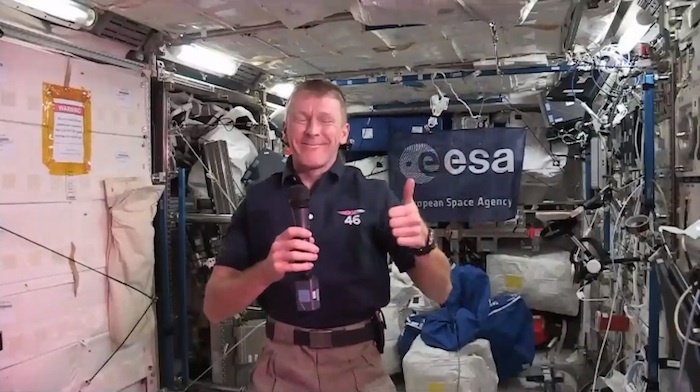 Meanwhile, Mr Peake, who is spending his first weekend in space, has thanked the thousands of people around the world who sent him good luck messages. His blog also contains a selection of some of the best messages from social media sites Twitter and Instagram. As he does not have the time to reply to each message individually, he wrote: "The support for our launch was outstanding, and I want to thank each of you for the #GoodLuckTim messages. 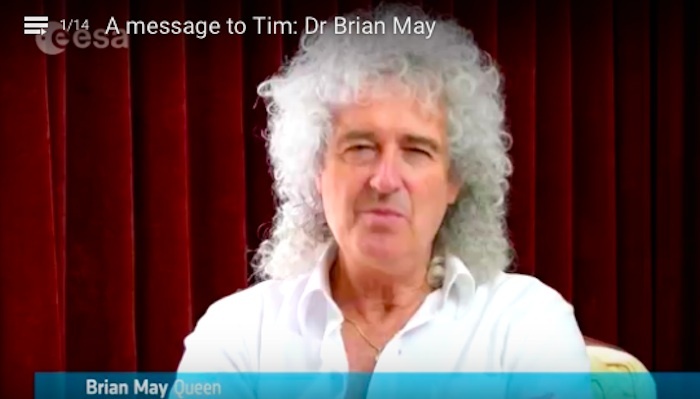 "From the schoolchildren who watched the launch in class, people watching on the underground, and viewers outside of UK, your messages have shown how much interest there is in space and they mean a great deal to me. "We are very busy up here but I promise to start sharing more of our life in space soon." The former Army aviator and helicopter test pilot has posted three pictures to his Twitter feed since Friday - one of the view towards Earth, one of him giving a thumbs-up to all his supporters and another of him giving blood for experiments being conducted in space. 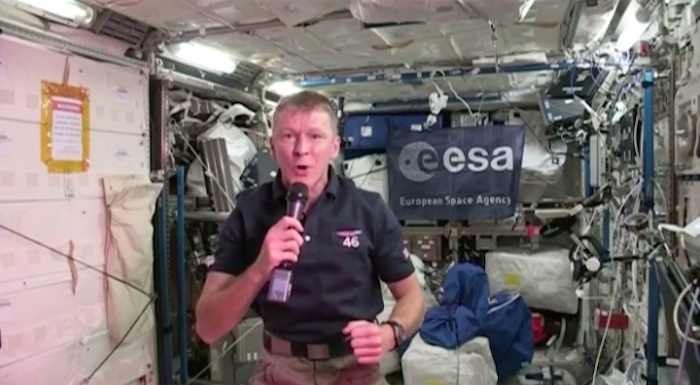 On Friday, during a live link-up from the space platform, he said his first few days in space had been "absolutely spectacular". 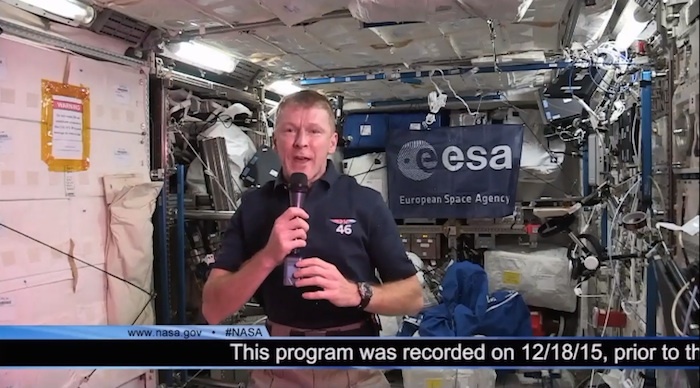 Answering questions from reporters gathered at the European Astronaut Centre in Cologne, Germany, he said the first two hours had been "pretty rough" and he had been feeling "disorientated and dizzy". But he was able to show them a backwards somersault and said he was surprised how quickly his body had adapted to weightlessness. 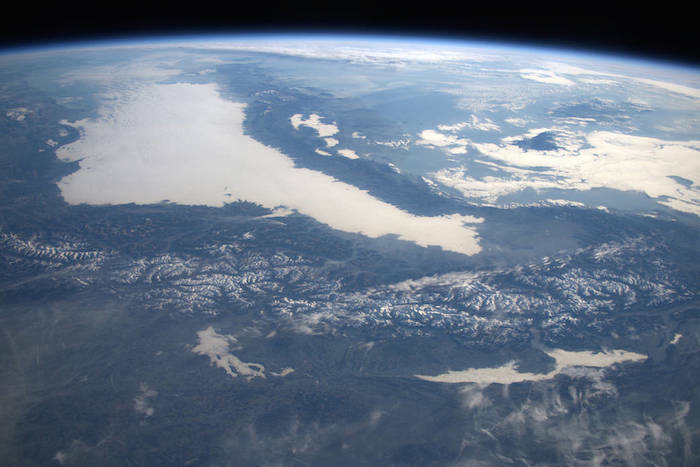 European Space Agency (ESA) astronaut and Expedition 46 Flight Engineer Tim Peake (@astro_timpeake) photographed the Alps from his vantage point aboard the International Space Station on Dec. 27, 2015 and later shared the image with his social media followers, writing, "There may not be much snow in the Alps this winter but they still look stunning from here! #Principia"